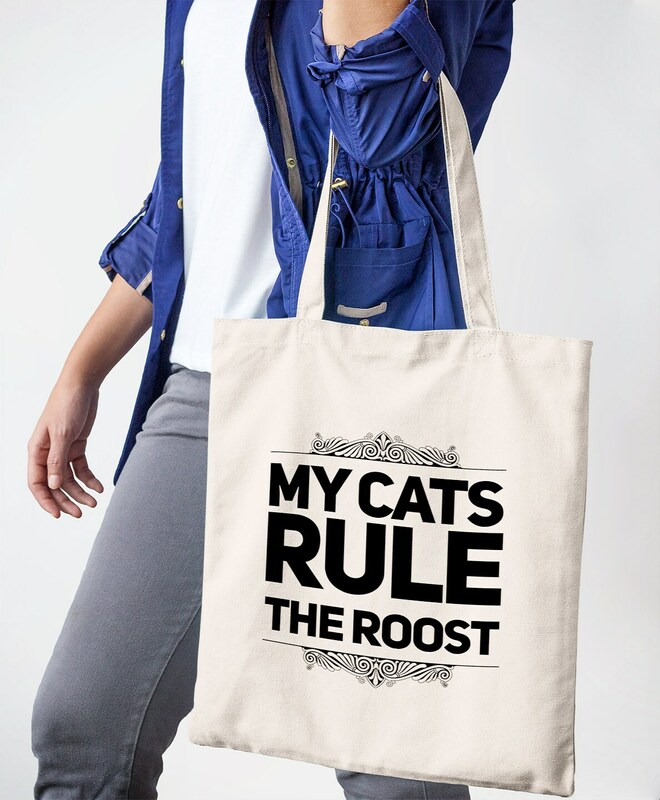 Wonderful gift for the cat mom or dad with multiple kitties that essentially rule the household. 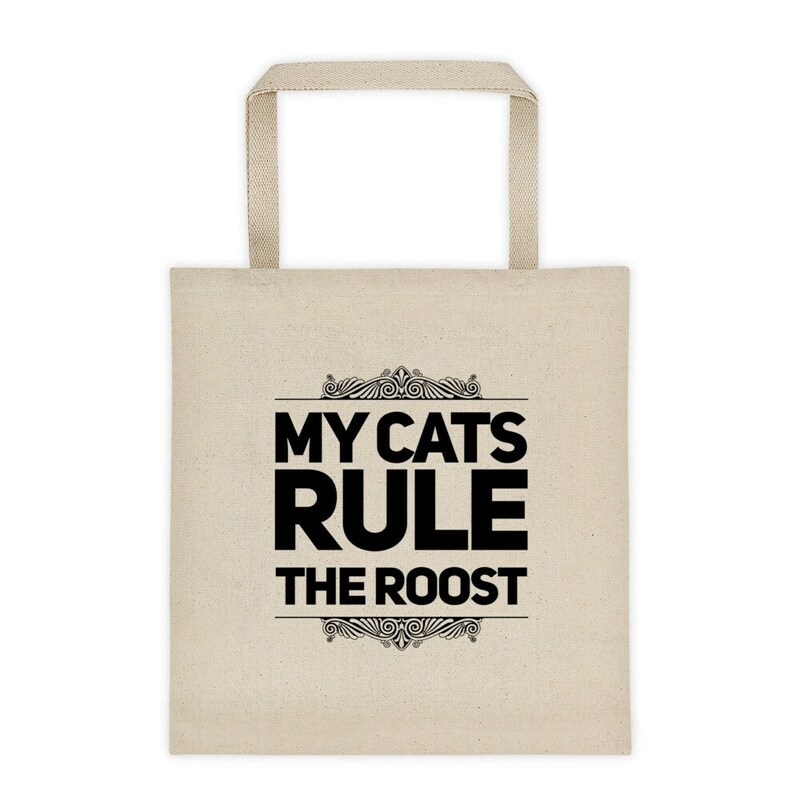 Cat lovers will identify so much with this cool tote that speaks to everyday life with their many furry children. 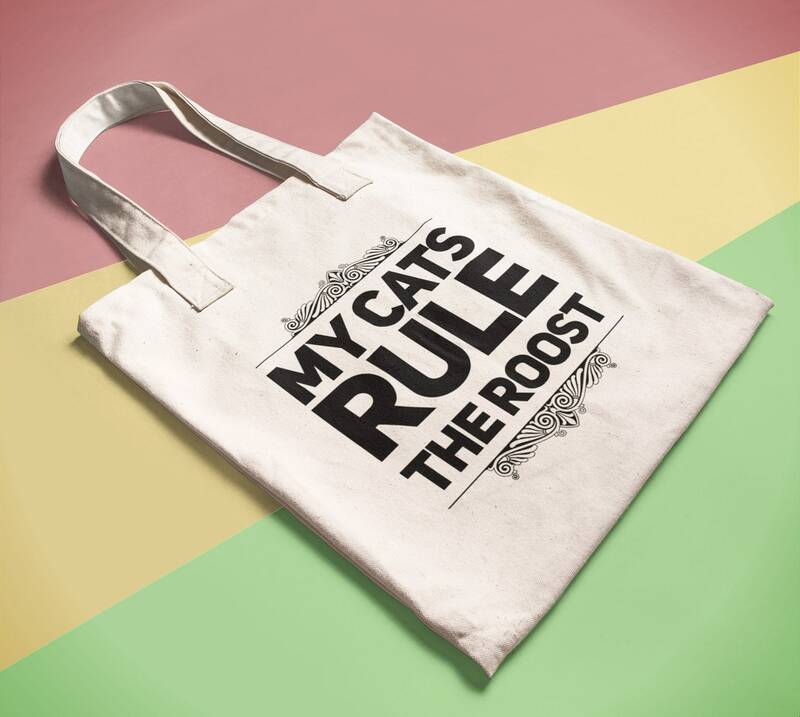 A roomy tote bag with a square bottom that'll hold your essentials or non essentials. 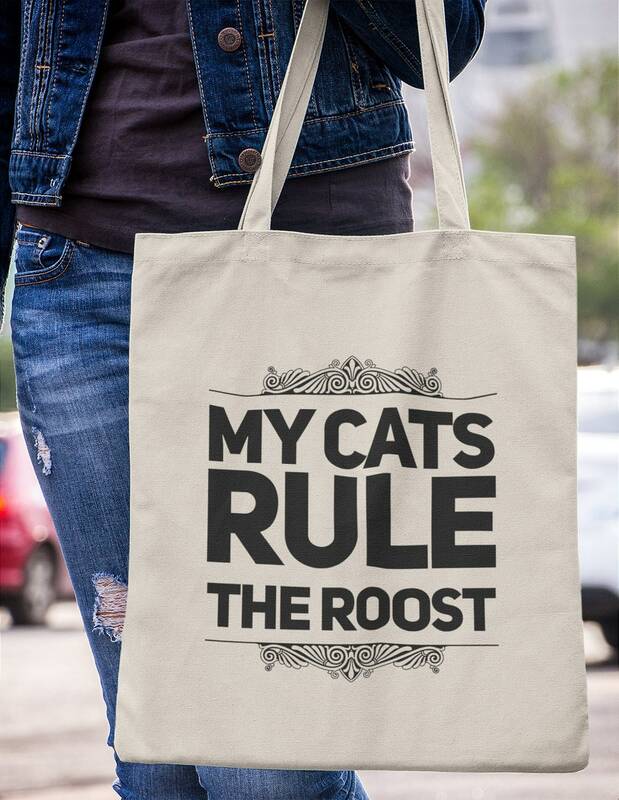 Makes a great grocery bag or book bag too.